SLEEPY EYE — Sleepy Eye United defeated New Ulm Cathedral in a Tomahawk Conference boys’ golf meet at Sleepy Eye on Thursday. For the Indians, Andrew Neid was the medalist with a 40. Logan Eckstein, Logan Weiss and Coby Erickson each shot a 44. For Cathedral, Ethan Kirchberg led the way with a 47 and Josh Gieseke fired a 51. MANKATO — Minnesota Valley Lutheran girls won the Blue Earth Indoor Track Meet on Thursday, while the boys finished second. The girls finished with 99 points. Blue Earth Area won the boys’ meet with a score of 78 points with MVL having 55.5 points. Anna Schwartz finished first in the long jump (14-6). Kaylee Hunter was first (31-10 3/4) in the triple jump and Hannah Marzinske was second (31-10) in the triple jump. In 55-meter high hurdles, Mara Weisensel first first (9.2), while Emma Nelson took second (9.3). Weisensel also took second in the 55-meter intermediate hurdles (9.2), while Emma Nelson finished first (9.1). In the 55-meter dash, Lexi Fosburgh took second (7.6), and she was also part of the 4×200 relay team that took second (1:58.4). In the 1,600-meter run, Abby Nelson finsihed second (6:05.1). Abby Nelson was also part of the 4×400 relay team that took first (4:38.2). Abby Nelson also took first in the 800-meter run (2:43.7). For the boys, Izayah Harrison took first (6.5) in the 55-meter dash, while Christian Edwards took second (6.6). Jake Kettner took second in the triple jump (37-11), second in the high jump (5-8) and he was also part of the 4×200 relay team that took second (1:40.2). Robert Rauh took second in the 400 (56.2), while Edwards took second in the 200 (25.3). 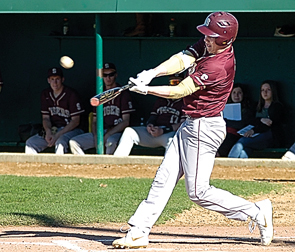 SLEEPY EYE — Sleepy Eye defeated Red Rock Central/Westbrook-Walnut Grove on Friday in a nonconference baseball game. Matthew Sellner earned the win, pitching four innings, giving up three hits, one run, walking one batter and striking out six batters. Matt Irlbeck took the loss, going three innings, giving up two hits on two runs, walking three and striking out three. Landon Strong led the Indians going 3 for 3 with a single, a double a triple and having three runs scored. Sellner went 1 for 3 with a double and two RBIs. Irlbeck went 1 for 3 for RRC with a double and a run scored. Sleepy Eye (1-0) will host Wabasso on Tuesday. 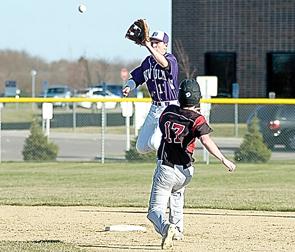 LAKE CRYSTAL — Sleepy Eye St. Mary’s edged Lake Crystal-Wellcome Memorial on Friday in a nonconference baseball game. Dominic Helget was the winning pitcher, going 5 2/3 innings, giving up five runs (two unearned). Kyle Goblirsch pitched 1 1/3 inning for the save. Kyle Borth went 1 for 2 with two RBIs. Spencer Hoffman went 1 for 3 with a double and Dallas Bauer went 2 for 4 for the Knights. SESM (2-0) will host Wabasso on Monday. SLEEPY EYE — Mountain Lake Area-Comfrey crushed Sleepy Eye on Friday in a nonconference softball game. Molly Carnell earned the win for MLA and Morgan Klein took the loss for Sleepy Eye. McKenna Strong, Maranda Braulick and Tasha Martinez all went 1 for 2 for the Indians. Margo Stoez went 3 for 4 with a home run and Lexi Toll went 1 for 3 with a home run for MLA-C. Sleepy Eye (1-1) will host Buffalo Lake-Hector-Stewart on Monday. 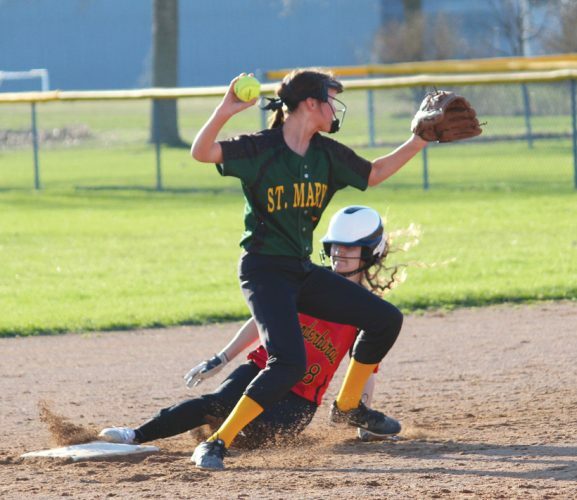 ST. JAMES — St. James Area blanked Madelia on Friday in a nonconference softball game. Addie Bowers earned the win going five innings, giving up no runs, no hits, walking one and striking out 10 batters. Corban Tatro took the loss, pitching two innings, giving up six runs (one earned) on four hits with one strikeout and no walks. 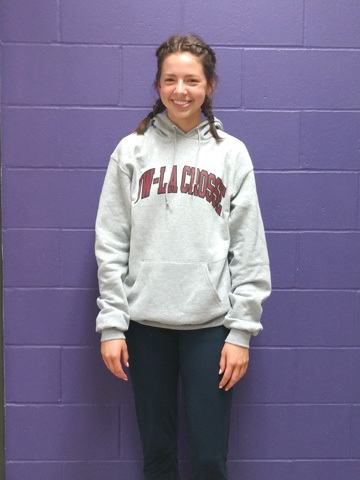 Malia Schwanke drew Madelia’s lone walk. Madelia will travel to Janesville-Waldorf-Pemberton on Tuesday.